Siding, once a cheap alternative to more expensive wooden shingles or brick, has come of age. Today's siding is stylish and some products even look so much like wood that you don't realize they're not until you are right on top of them. Siding also offers the advantages of being energy-efficient, wind-resistant and relatively maintenance-free. Crane manufactures a variety of top-of-the-line siding products, designed with the look of wood, but the durability and strength of vinyl. Crane siding is impact-resistant, moisture-resistant and easy for installers to work with. Crane siding products offers some of the most dramatic colors in the industry. In addition to the more common white and gray shades, this siding comes in colors like deep red, harbor blue and olive green. You can find Crane siding in most any color that's available in exterior paint. Crane siding is also more flexible and more durable that standard siding as well as having more insulation value. Crane also offers one of the few "life of the home" warranties in the siding business. 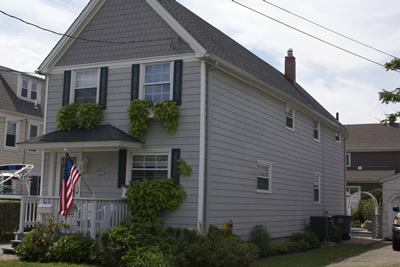 Berkeley Exteriors has been helping southern Connecticut homeowners beautify the outside of their homes while making them easier to maintain and most energy-efficient for nearly 20 years. Siding, doors, windows and roofs are our specialty. We're a locally-owned, locally-managed company, whose employees live and work in the community, not a seasonal contractor that's here one month and gone the next. If you're in the market for siding for your home, let us show you have easy and stress-free the process of choosing, ordering and installing siding can be. Give us a call at 203 877-4373 to set us a free consultation.